The John Rylands Library is a late-Victorian neo-Gothic building on Deansgate in Manchester. 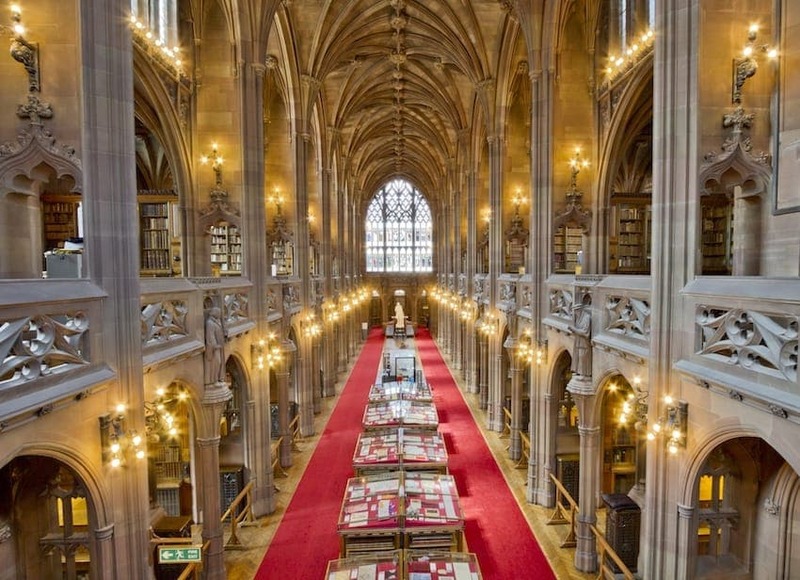 Opened to the public in 1900, it is now part of The University of Manchester Library. It was built on a rectangular plan and it was designed to resemble a church in a decorated neo-Gothic style with Arts and Crafts details. It is constructed of Cumbrian sandstone, the interior a delicately shaded Shawk stone varying in colour between sand and pinks and the exterior, dark red Barbary stone. The library was granted Grade I listed status in 1994.